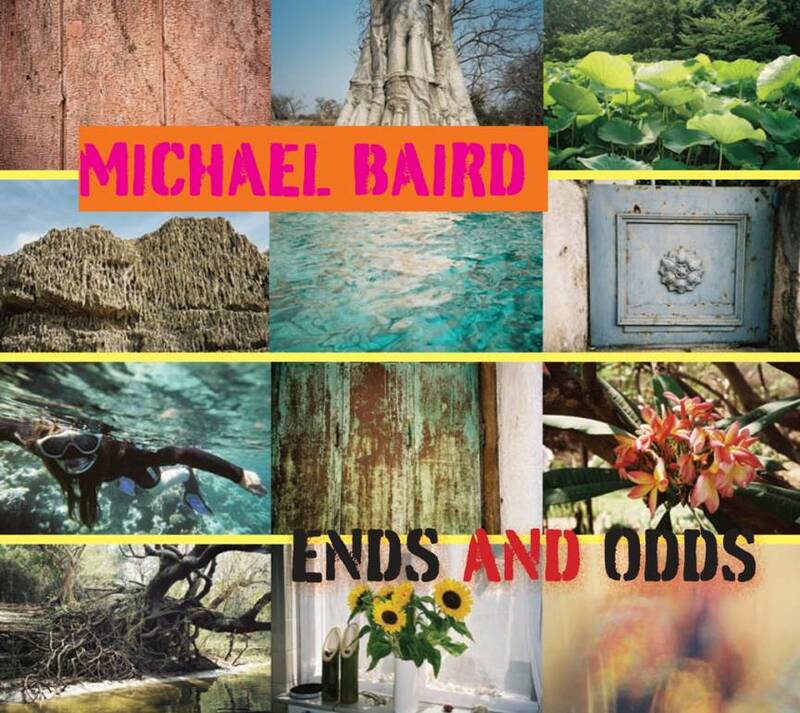 A nicely weird but groovy collection of thirteen different pieces, all written and performed by Michael Baird. An ambient afro-jazzy meltdown, original down to its inner core. Voodoo-jazz for all occasions. Including the alternative dancefloor hit 'Pinky's Dayout'! With some help from friends Layba Diawara (GUI) – balafon, Rick van Heerden (ZIM) – alto sax, Sophie de Vries (NL) – vocals, Marianne Noordink (NL) – nay, Cherry Wijdenbosch (SUR) – vocals, Jasper le Clercq (NL) – violin. Total time: 55'13". 6 page digipac. Tracklist: 1. ID File, 2. Stutter, 3. Pullu, 4. Pinky's Dayout, 5. Stick Gongs remix, 6. La Bouche remix, 7. Nande Song, 8. Heart Of Sleeves, 9. Mourning After, 10. Face With A View, 11. Bat Brushes, 12. Outside, 13. Mutant Budima. Jazzism 2011 (NL): "Afrika is nooit ver weg in Bairds muziek, terwijl de muziek ook niet in één genrehokje te stoppen is. Velen zal een heel album met bijna alleen maar percussie afschrikken, maar juist Odds And Ends is een mooi voorbeeld van de mogelijkheden die percussie uberhaupt biedt." "Africa is never far away in Baird's music, whilst the music cannot be put in one category. A whole album of almost percussion only would scare away many people, but Ends And Odds is a beautiful example of the possibilities that percussion has to offer."